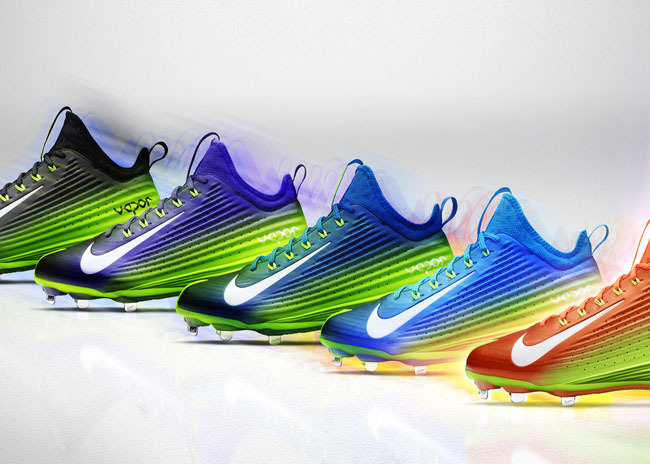 We saw the introduction of the Lunar Vapor Trout last month, and next week's MLB All Star Game and Home Run Derby will provide the biggest platform yet to showcase the cleat. 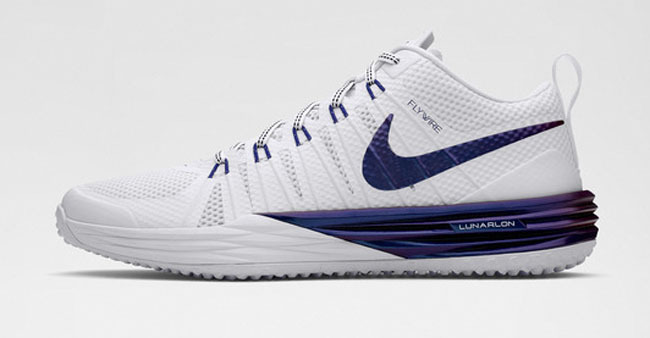 The Spectrum Collection has been inspired by the Minneapolis, Minnesota location of this year's game, which is known as the Land of 10,000 Lakes. 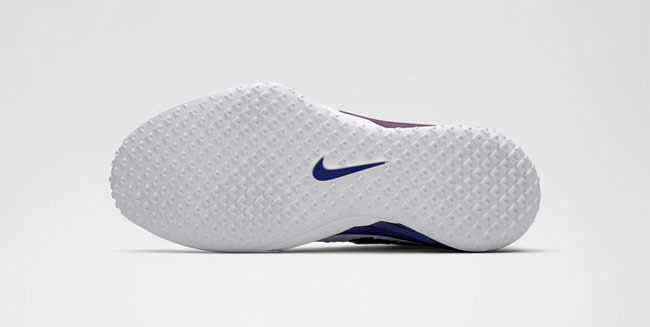 As the sun sets over the lakes, 'individual points of light blend together to form a smooth-colored spectrum of light,' according to Nike. 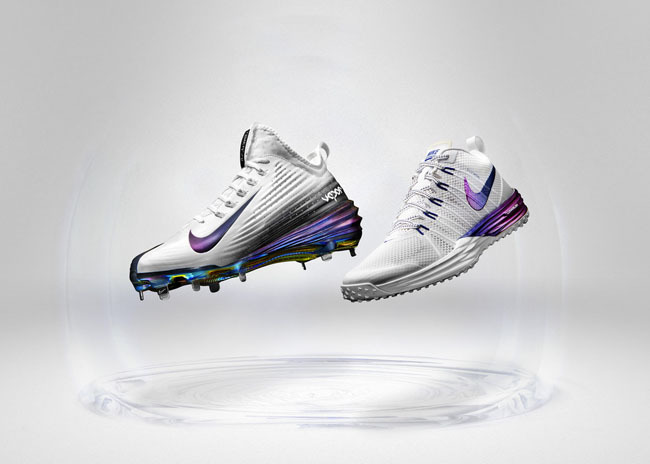 For the Home Run Derby, Nike is introducing the Nike Lunar Vapor Trout Spectrum and Nike Lunar Trainer 1 Spectrum, which both feature white uppers with a purple fade. 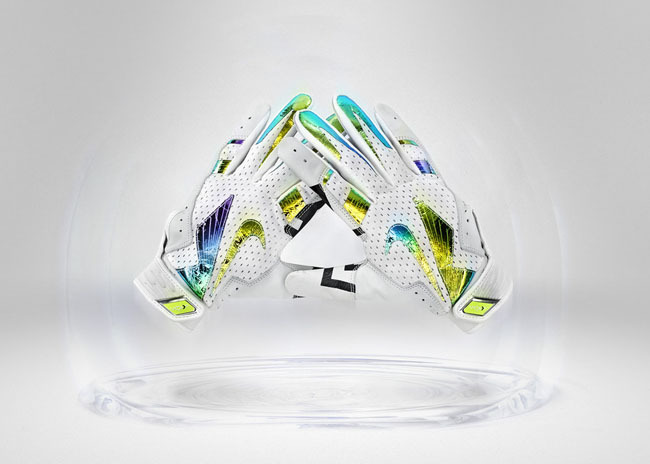 The collection also includes the Nike Vapor Elite Pro Spectrum gloves, featuring white mesh with yellow and green accents. 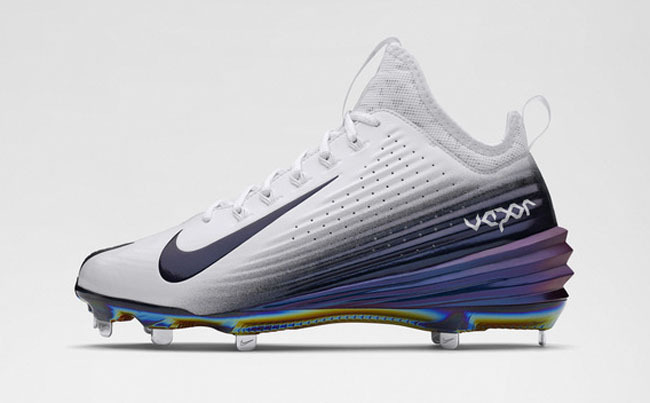 As for the All-Star Game, Mike Trout's signature cleat will be seen in five different colorways - orange, purple, black, navy and royal - each sitting on top of a Volt-colored Lunar midsole. 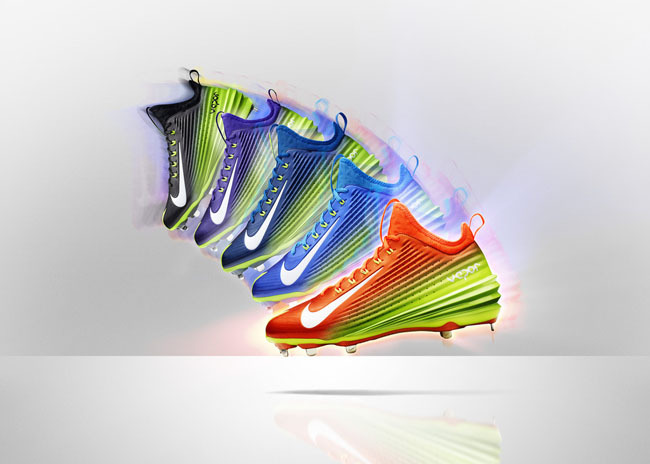 The Nike Vapor Spectrum Collection will launch at Nike.com and at select retailers with the All-Star Game cleats being introduced first, on July 12, followed by the Home Run Derby cleat and batting glove on July 14.